End your cravings for unhealthy food for good with the help of our subliminal messaging album. Do you find it difficult to eat healthy foods? Do you find yourself binging on food you know is not good for your health? Do you continue to eat fatty foods even while trying to lose weight? Do you eat too many sweets even after telling yourself you wouldn't? Do you feel depressed every time you give into your cravings and wish there was a simple way to control your cravings for bad food? Our subliminal mp3 can help you get control of your eating and change the way you think about food. You already know that eating fatty and sweet foods result in weight gain, yet it is easier said than done, there are temptations and old habits die hard even with the best of intentions.. well, that doesn’t have to be the case forever.. If you listen to this album every day, then before you know it you will find yourself making better food choices and eating healthy food much more naturally. Eventually you won't have to give eating healthy a lot of thought because it will become natural to do so and just a part of who you are and how you live. Our subliminal messages will literally reprogram your mind to focus your attention on eating healthy.They penetrate into your mind on a subconscious level and help to change your thoughts and beliefs about your eating habits. Because of this you can make changes to bad habits you have held for years - habits which are hard to change without some kind of subconscious support - this is why subliminal audio is ideal to help change your eating habits and beliefs. Choose to eat healthier and make healthy food choices naturally. It won’t be a case of resisting temptation or trying to eat healthily. You will just make healthier choices more naturally. Lose weight and enjoy a much happier lifestyle. When you start making healthy food choices you will lose weight as you swap fatty foods for nutrition and you start eating just what your body needs and no more. Weight loss will come a lot more naturally to you! Enjoy the confidence you will gain from looking and feeling better about yourself. You will lose weight and enjoy a healthier, more active lifestyle and you will feel 10x better about yourself, your body and your life! Does that sound like the life you want for yourself? Then why not take control of your health and your diet right now. Commit yourself to change. 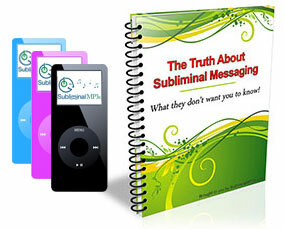 You may have tried and failed many times up until now but this time you could have the power of subliminal audio to help ensure your success. Download our subliminal mp3 today, the sooner you do, the sooner you can start enjoying a healthier slimmer you! This album is part of our subliminal weight loss range. This album is specifically designed to help you eat healthy food.